Looking for a personalised door gift for a party or an event? 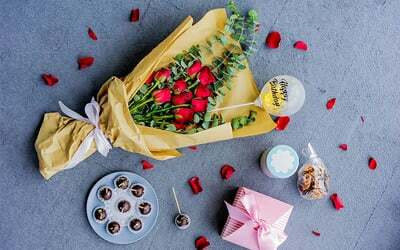 Get this door gift package that offers chocolate pops, and a personalised mini bubble balloon accompanied with a bouquet of 6 roses. Valid Mon - Sun: 11am - 6pm (based on appointment). Valid on selected public holidays (based on appointment). May purchase many and redeem many. Surcharge of RM25 - RM35 applicable for delivery within Klang Valley.